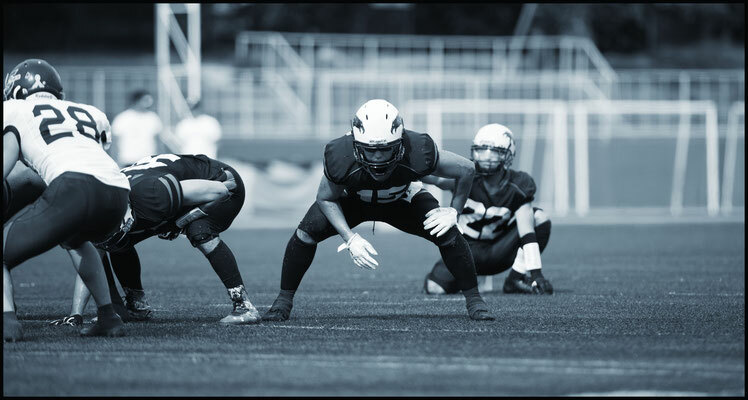 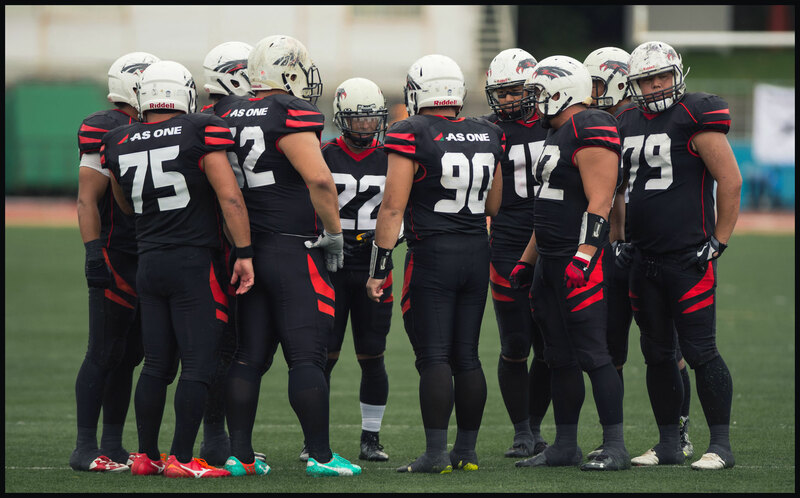 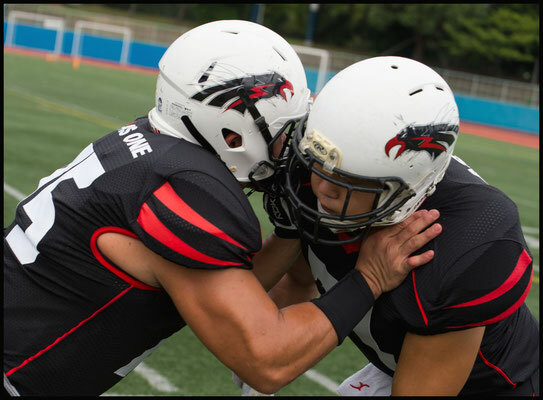 As One Black Eagles defeated Nagoya Cyclones 19-7 to kick off the X-league regular season under blue skies in Kobe, Oji Stadium. 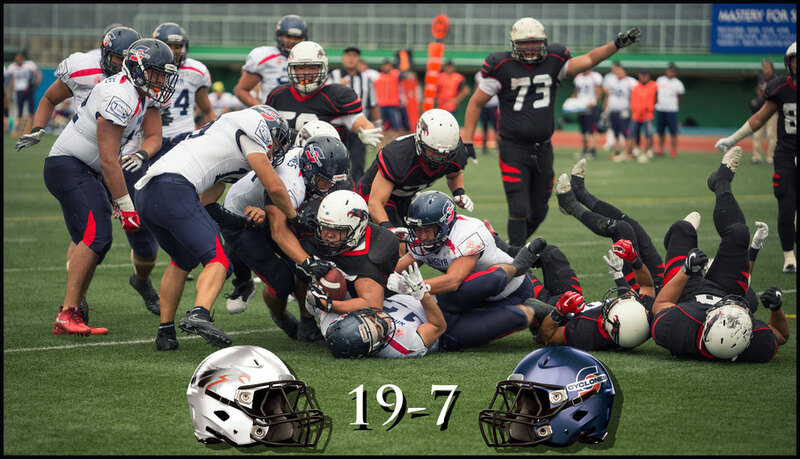 The small crowd and lady luck favored the Black Eagles, who led for all four quarters despite running fewer plays, gaining fewer total yards and converting fewer first downs than the Cyclones. 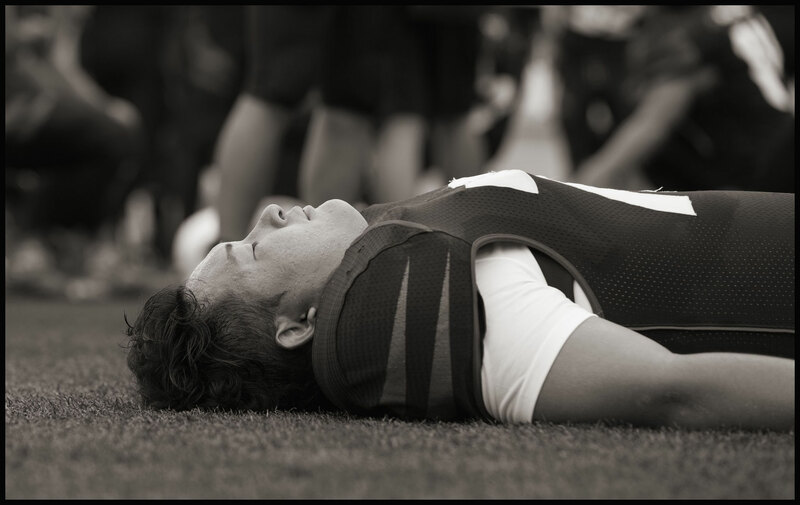 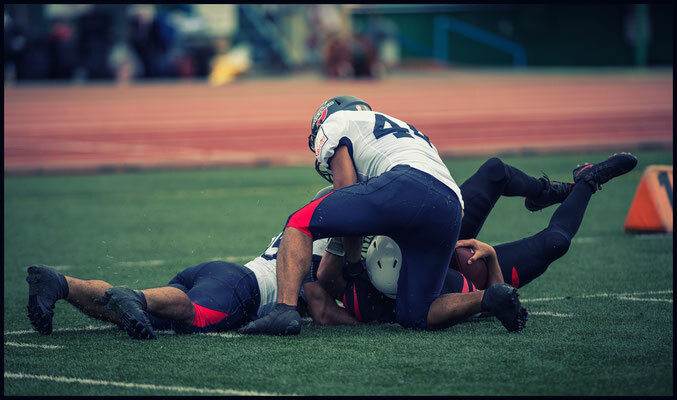 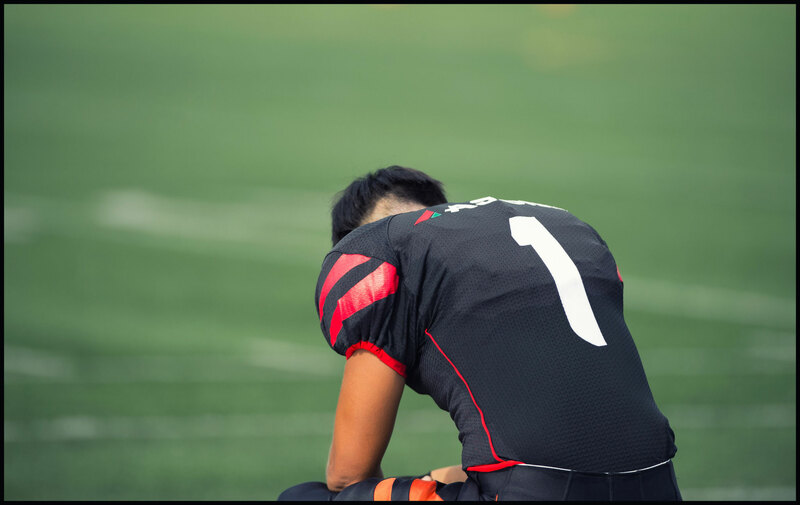 The Black Eagles mistakes started early with a fumble on the opening kickoff return and although they retained possession and gained 41 yards on 10 plays, the drive ended in a missed FG. 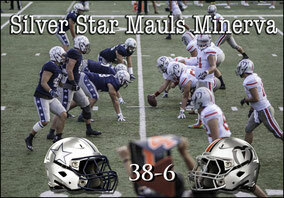 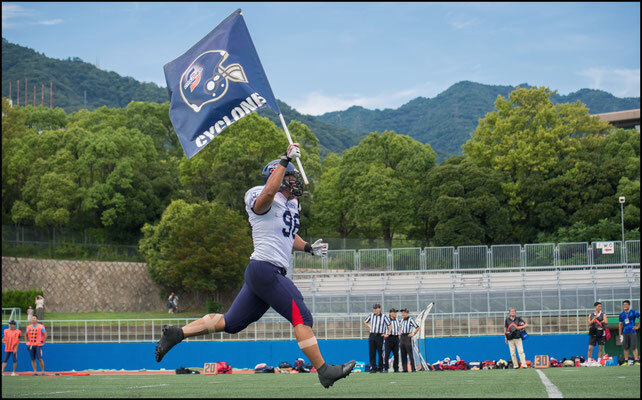 The Cyclones couldn’t capitalize on those miscues as their own offense was struggling just to get good snaps. 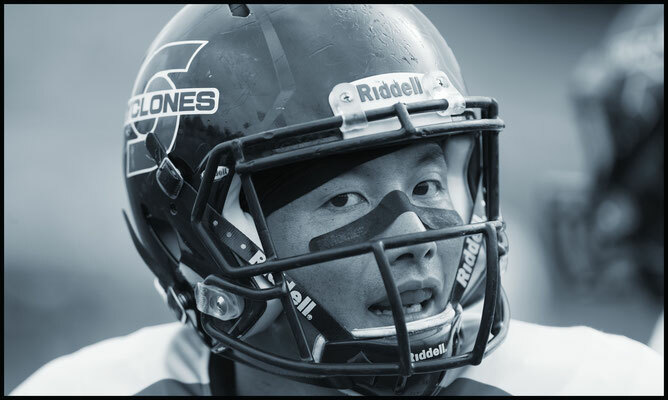 After the missed FG, the Cyclones took over on their own 15-yard line, but three of their first four plays started with the center floating the ball high. 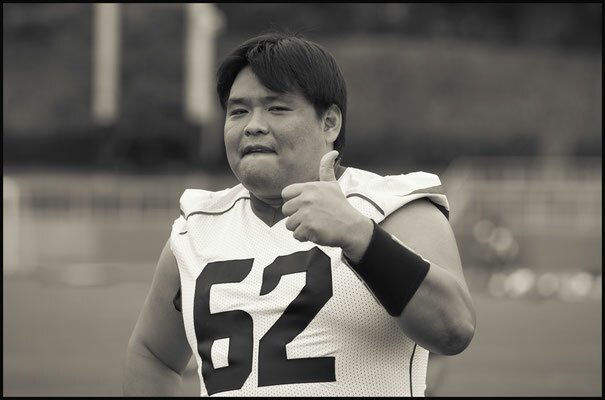 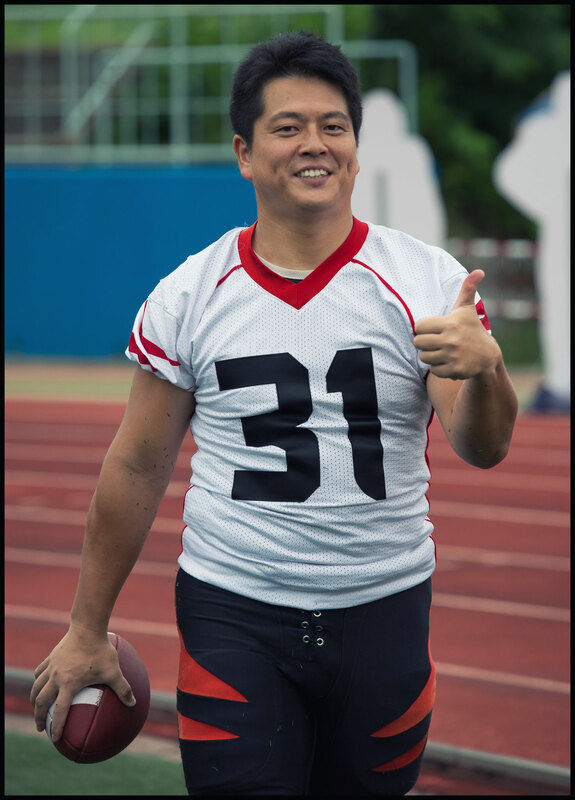 The one coming on fourth down was the most damaging with punter Atsuhisa Yamaguchi (who is listed as an offensive lineman) taking a split-second extra to get hold of the ball. 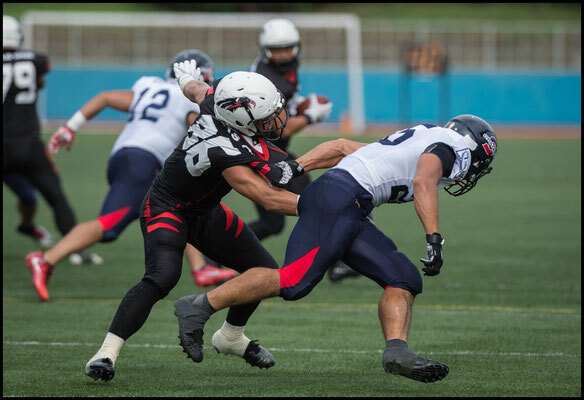 That was enough time for Black Eagles Kazuki Kawabata to break through for the block and LB Takeshi Ueda recovered the ball at the 2-yard line. 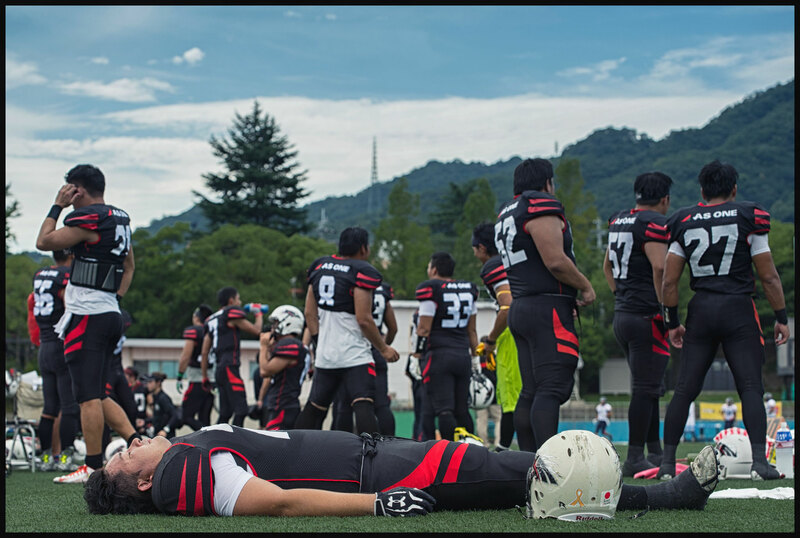 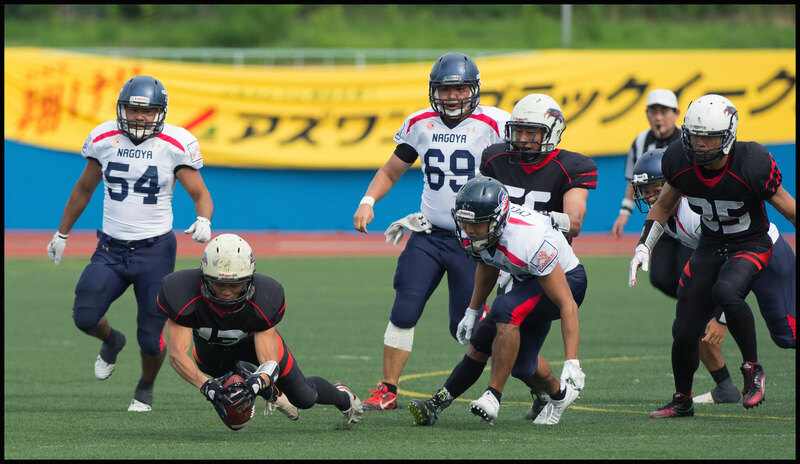 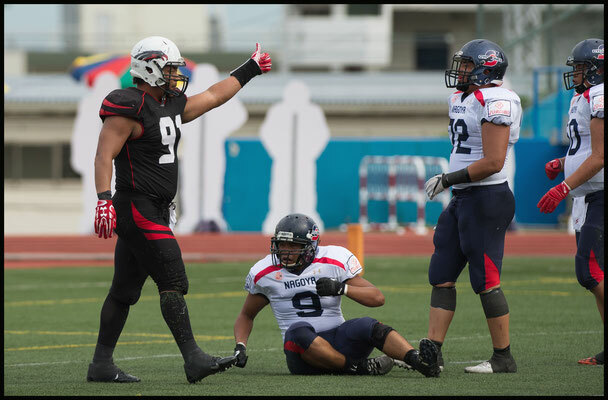 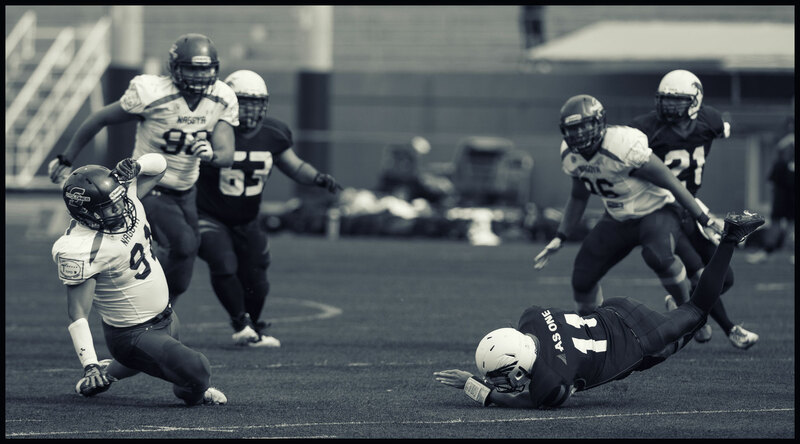 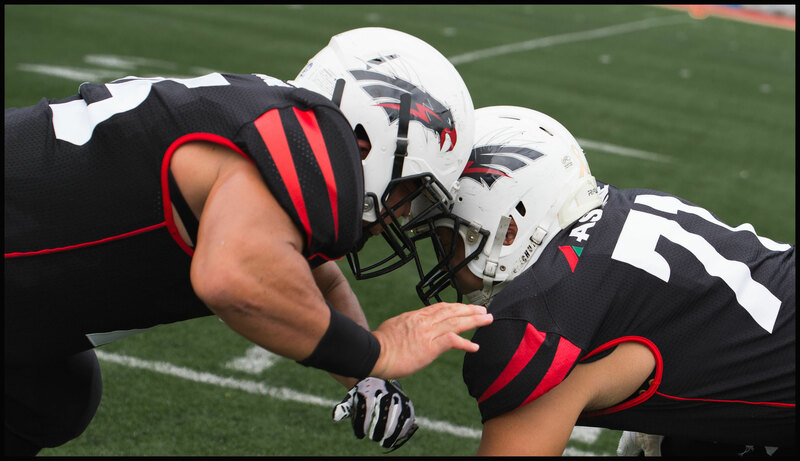 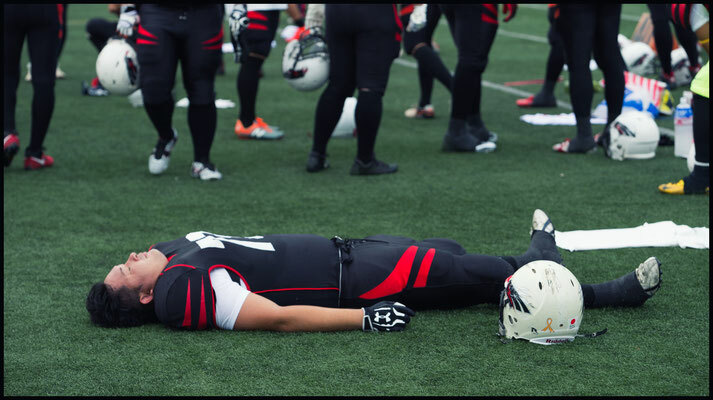 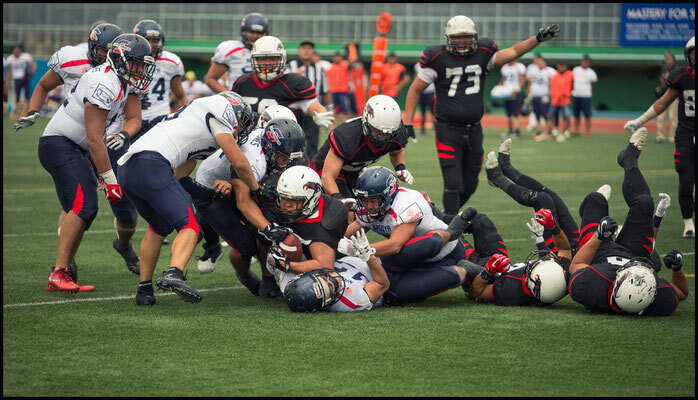 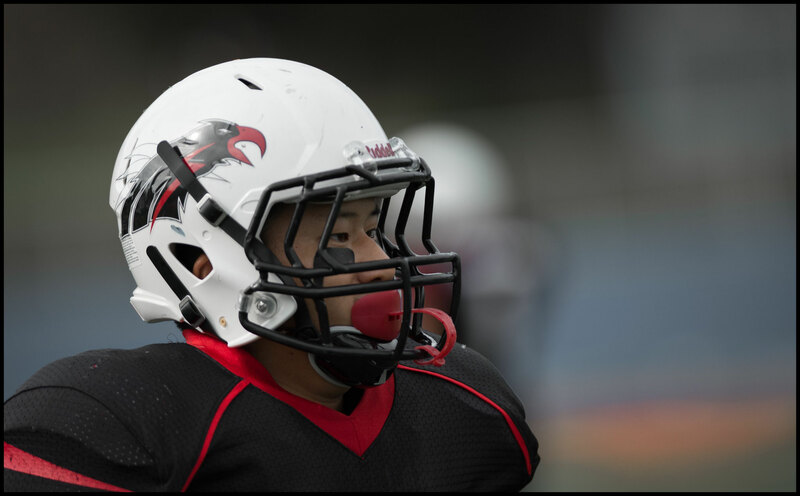 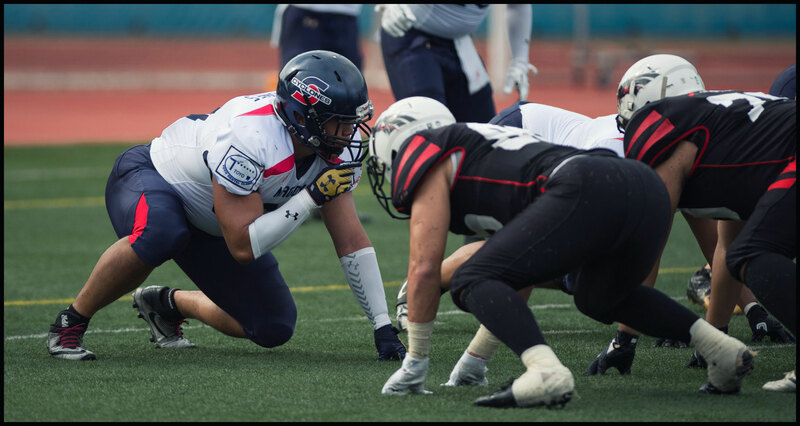 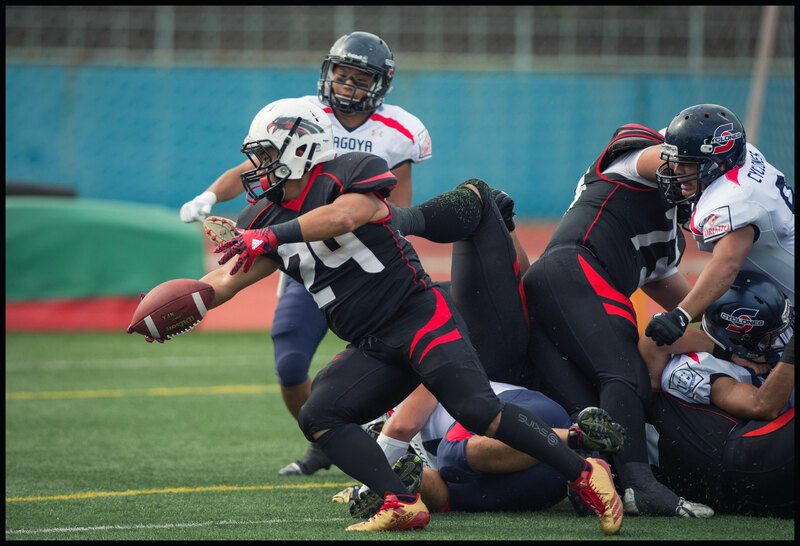 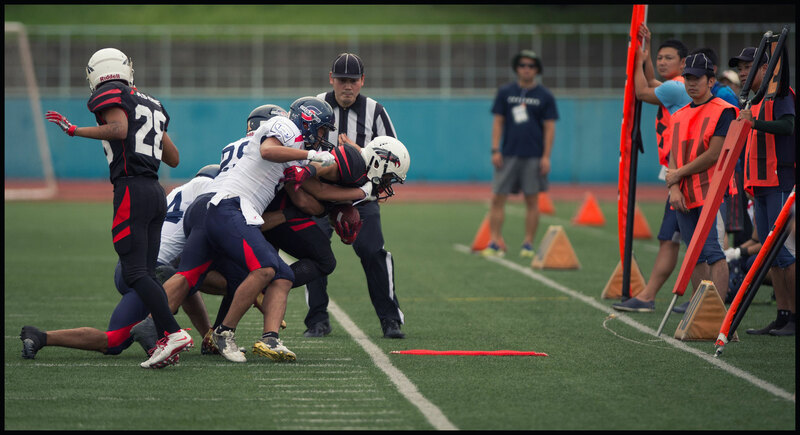 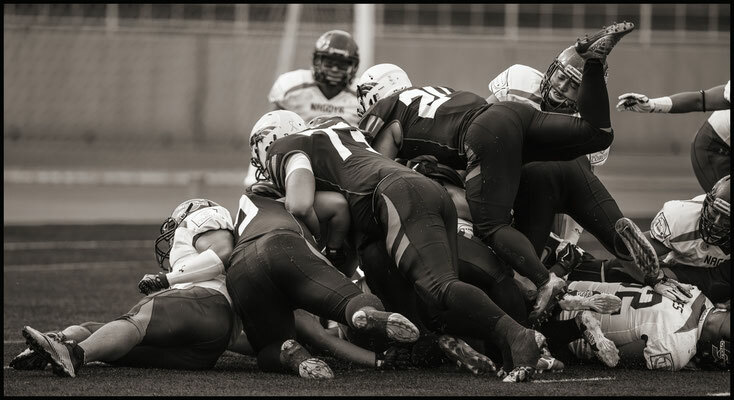 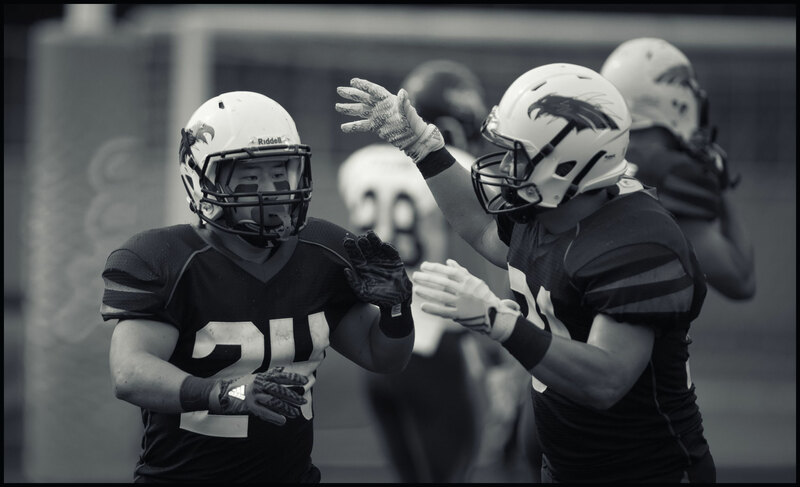 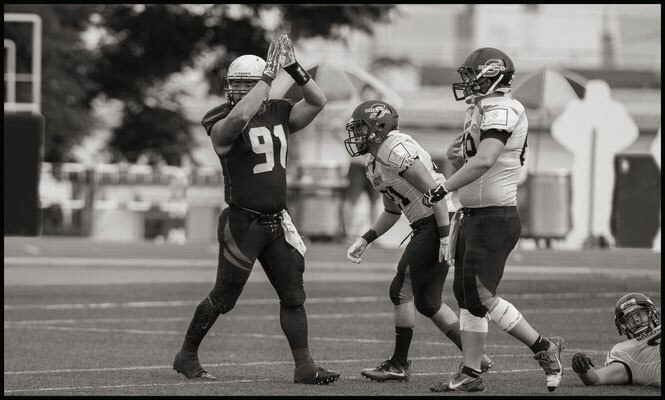 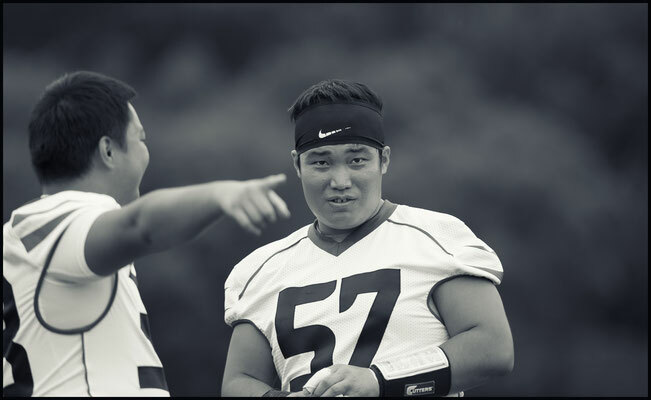 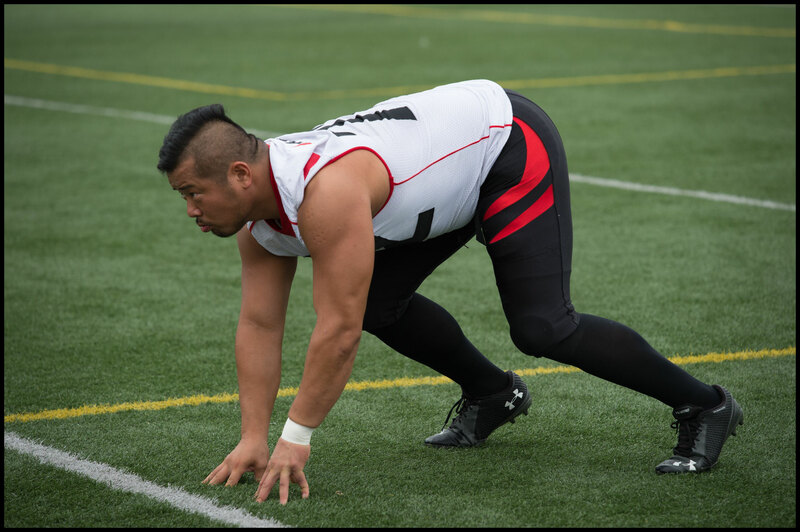 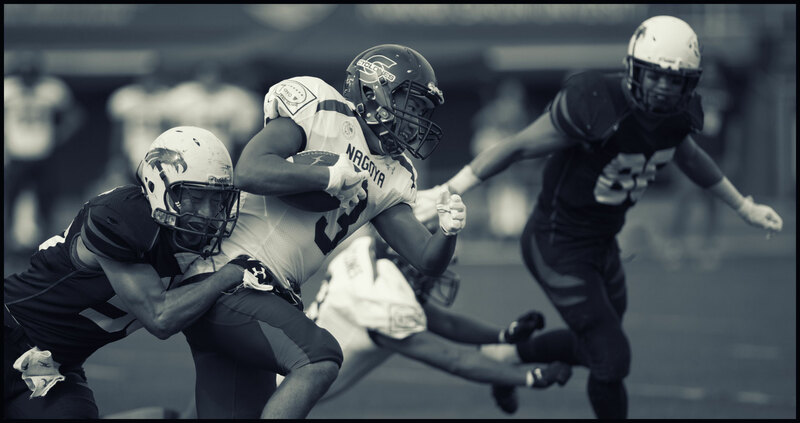 On the next play Black Eagles RB Kazuki Okita tried to dive over the scrum of linemen and into the end zone. 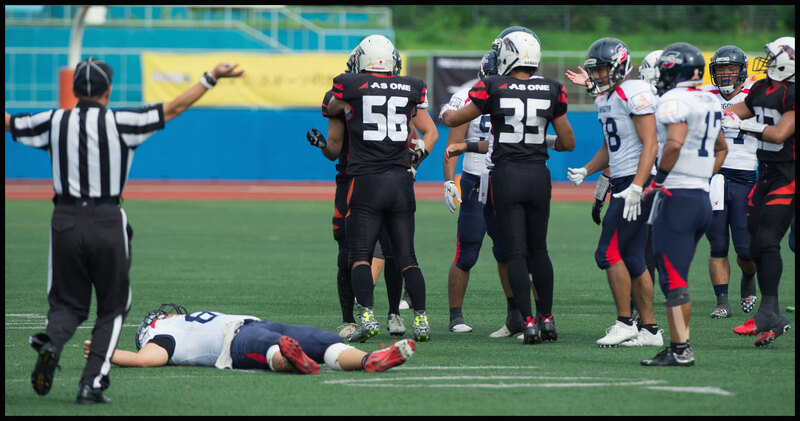 He was just about in but the officials didn’t signal TD so regaining his footing he simply ran around the line to the left for the game’s first points. 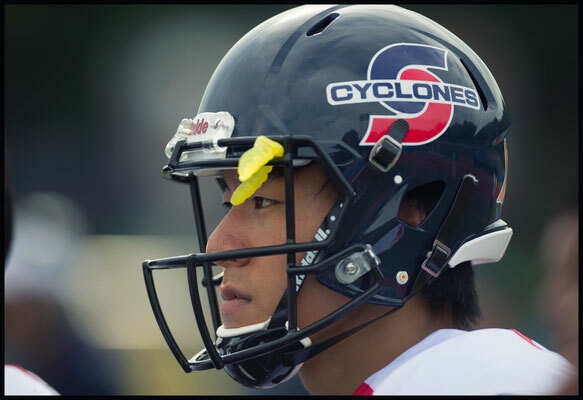 On the next possession, the Cyclones tried a new QB with Soya Kamiya taking snaps under center but that drive lasted just six plays. 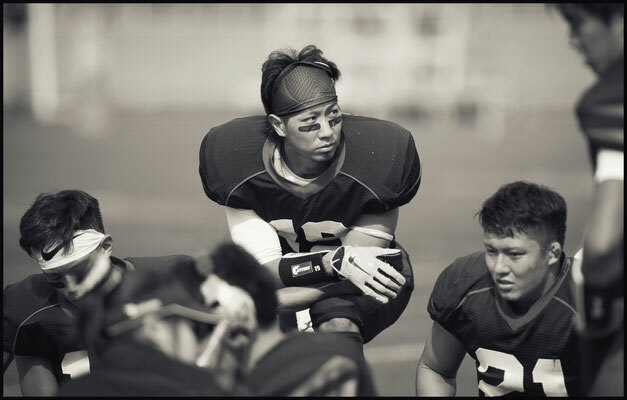 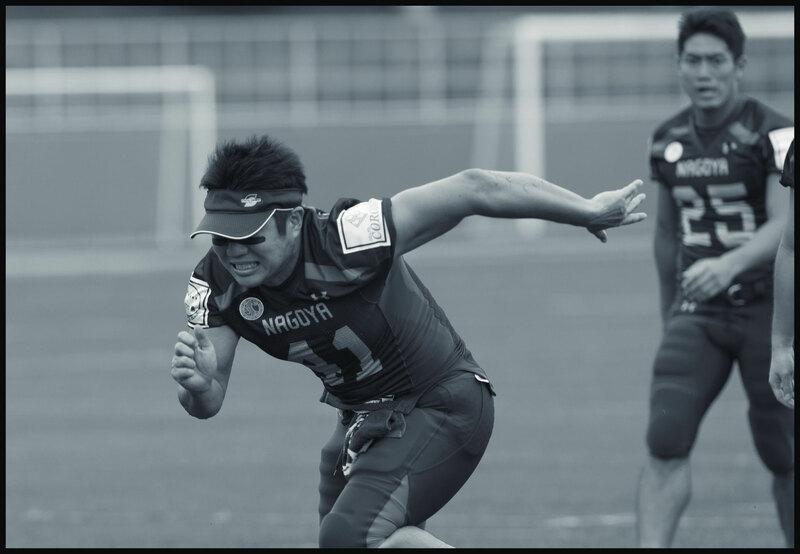 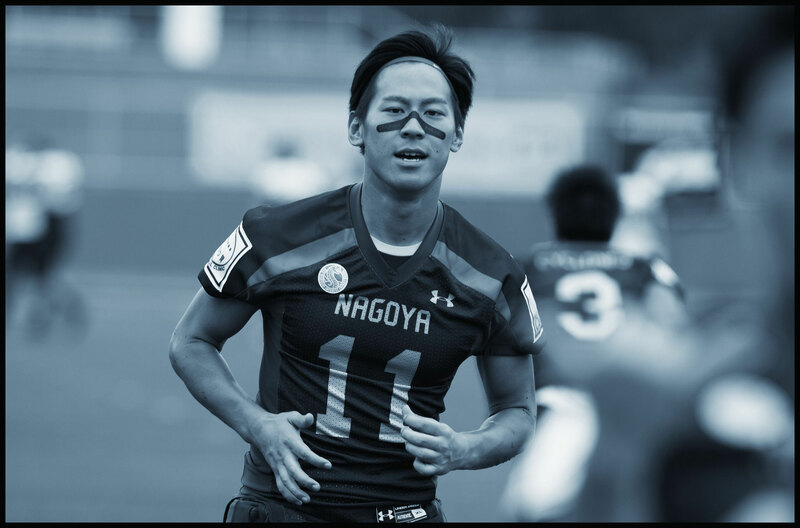 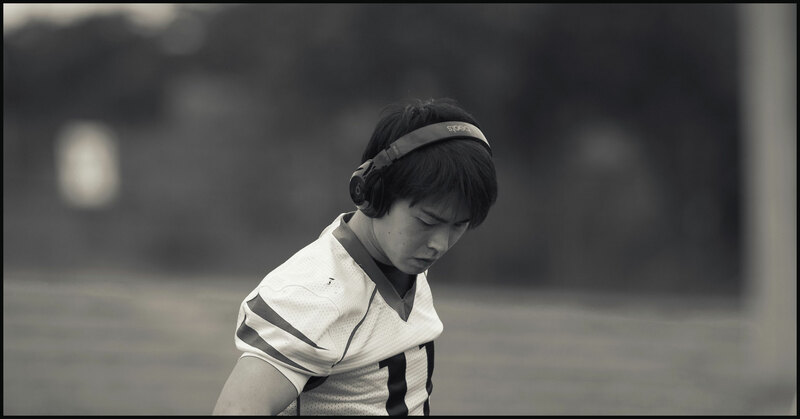 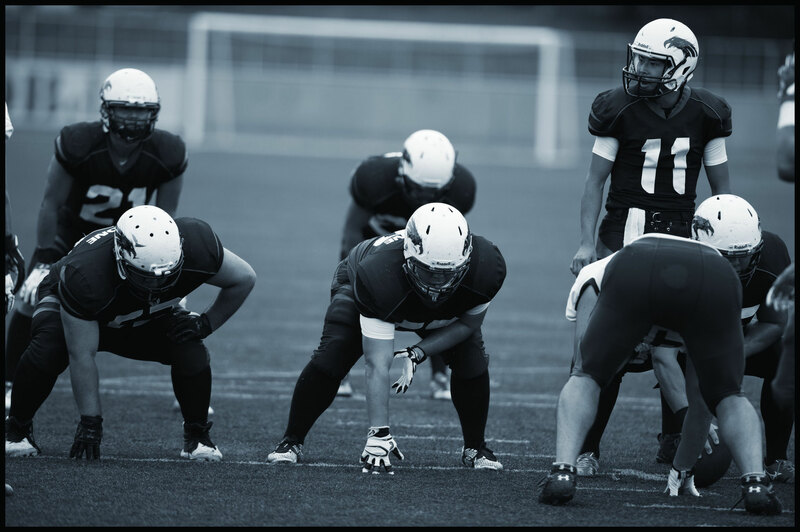 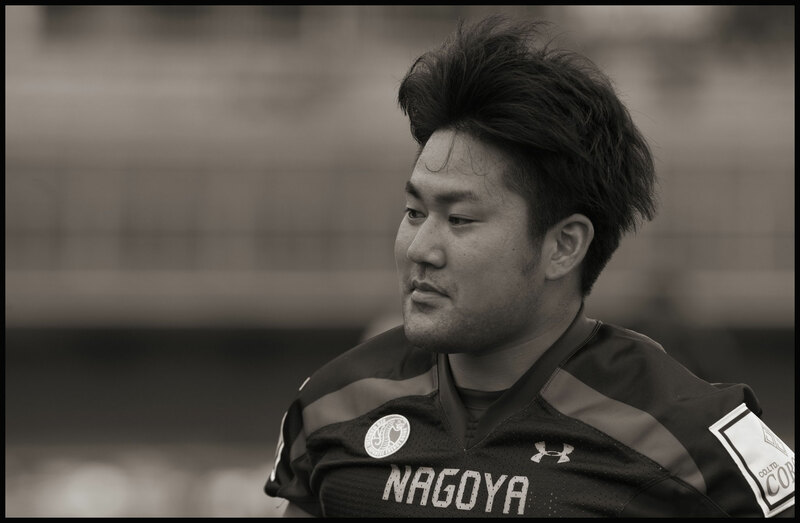 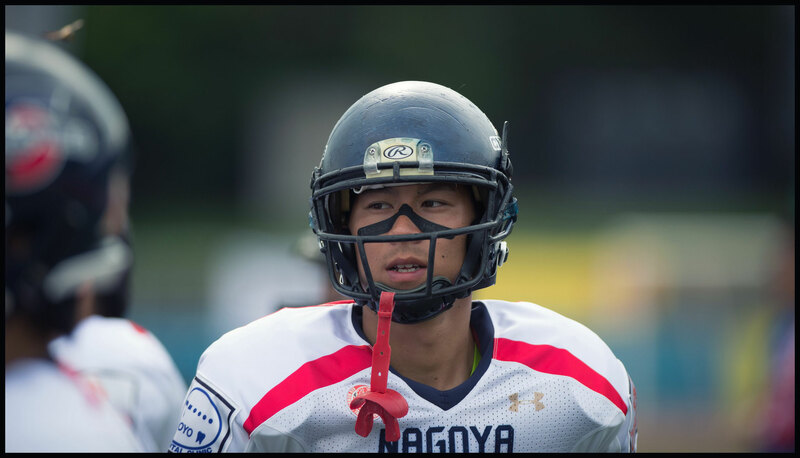 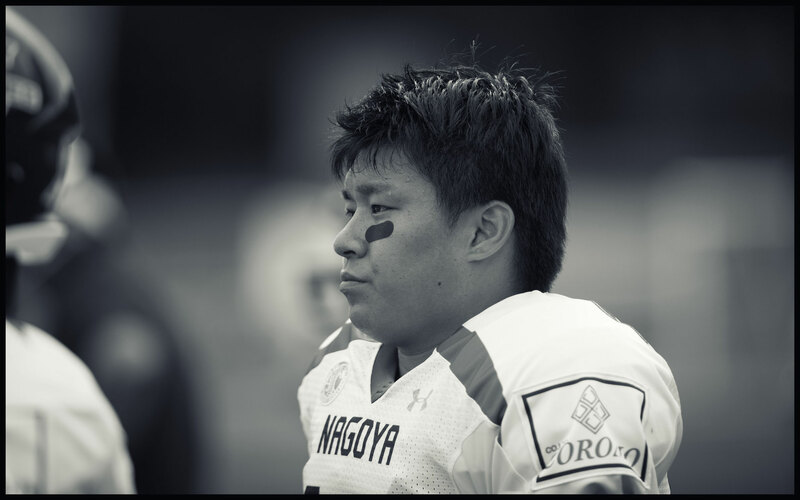 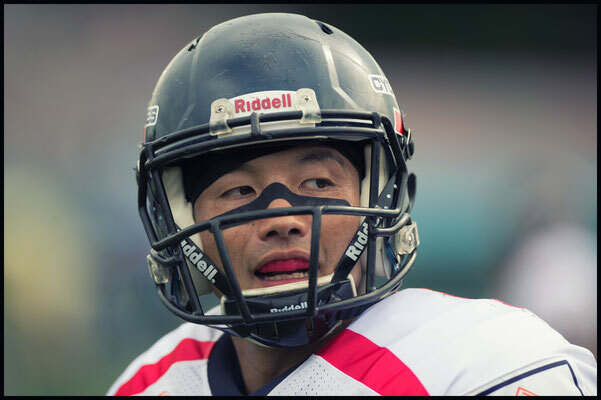 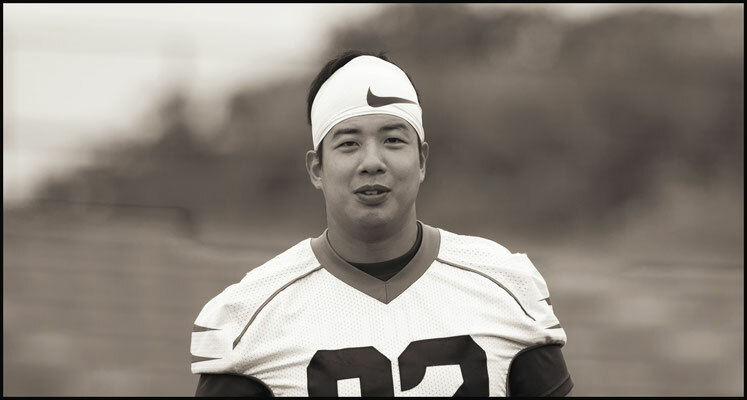 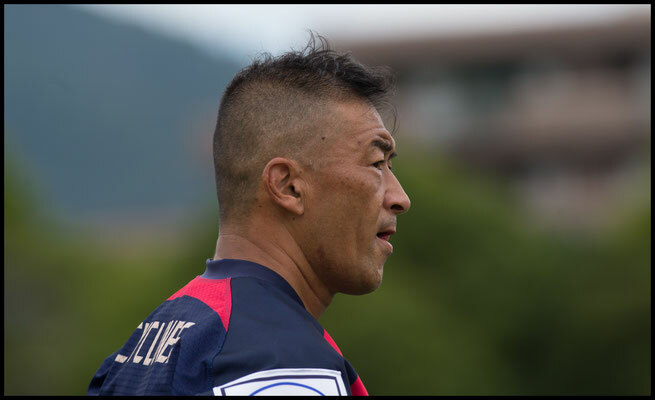 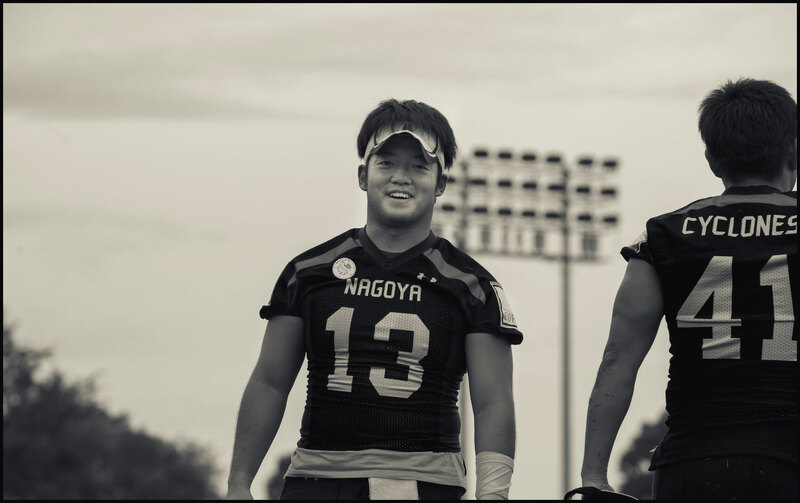 Nagoya later went back to original signal-caller Naoki Ito whose 11 completions accounted for 119 of the team’s 149 total offensive yards. 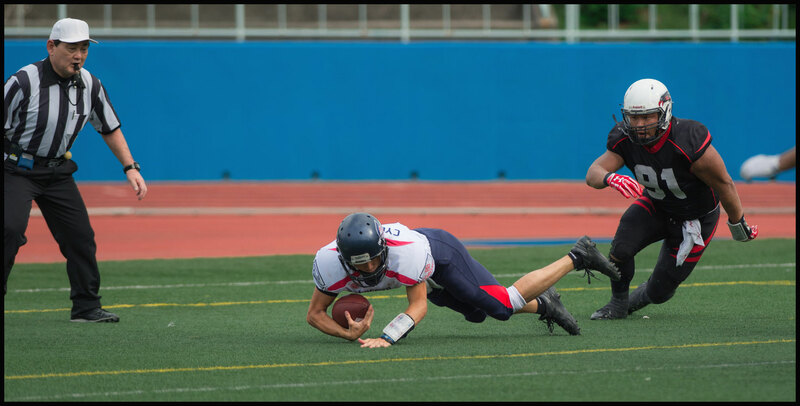 He added another 13 yards with his feet. 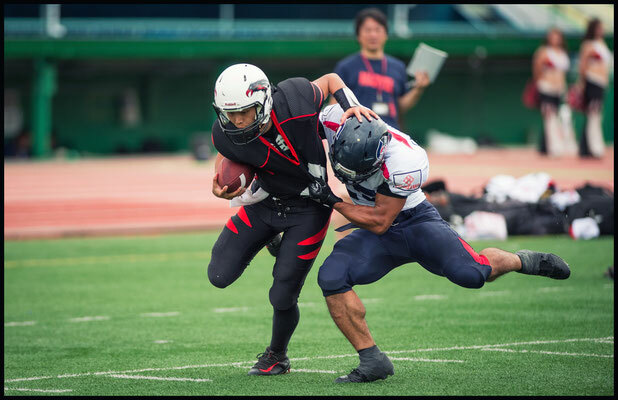 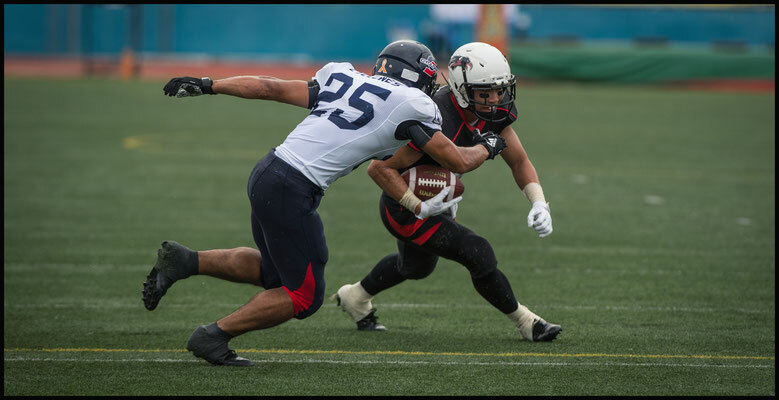 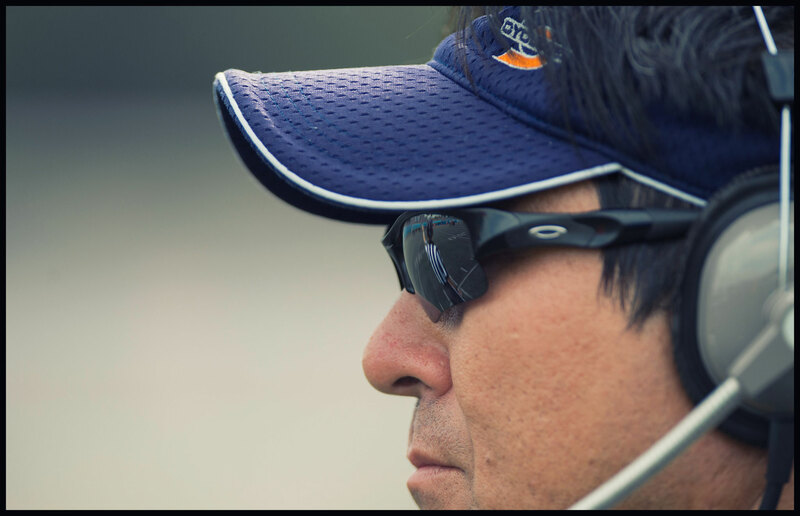 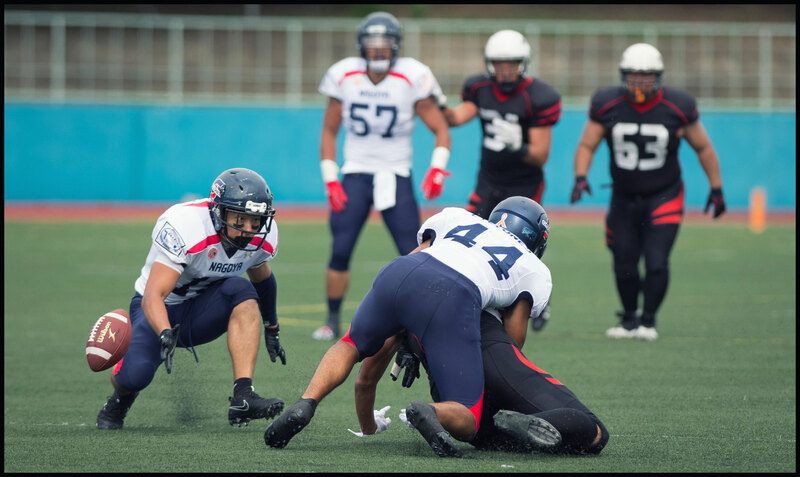 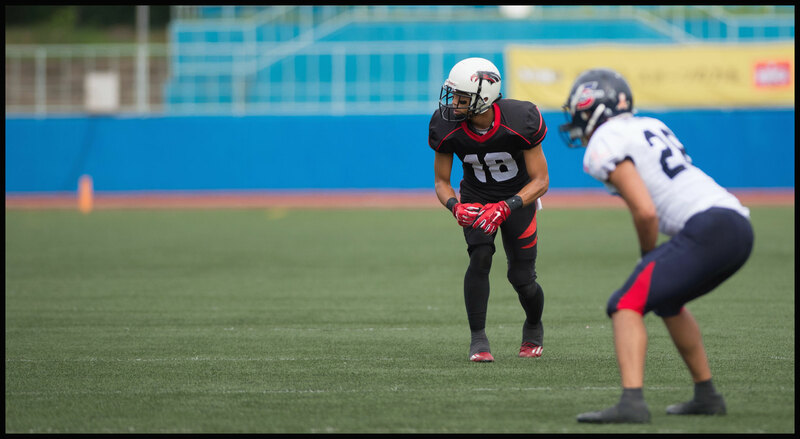 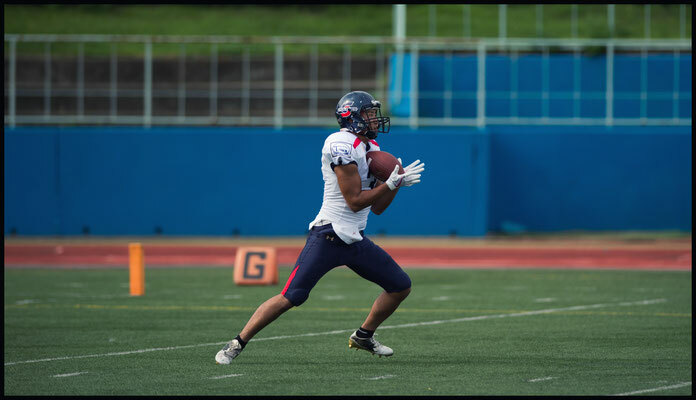 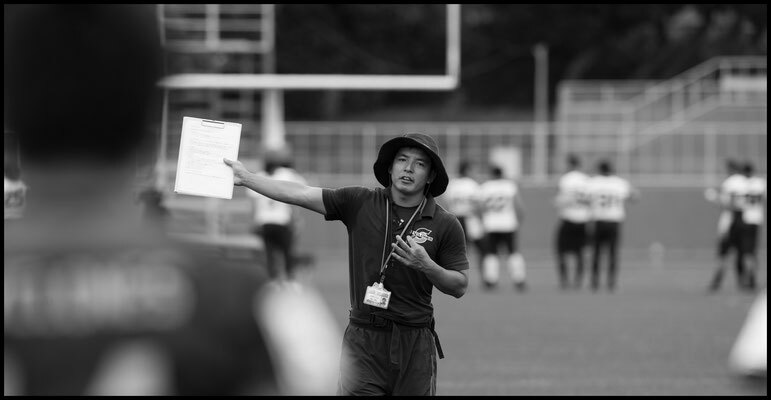 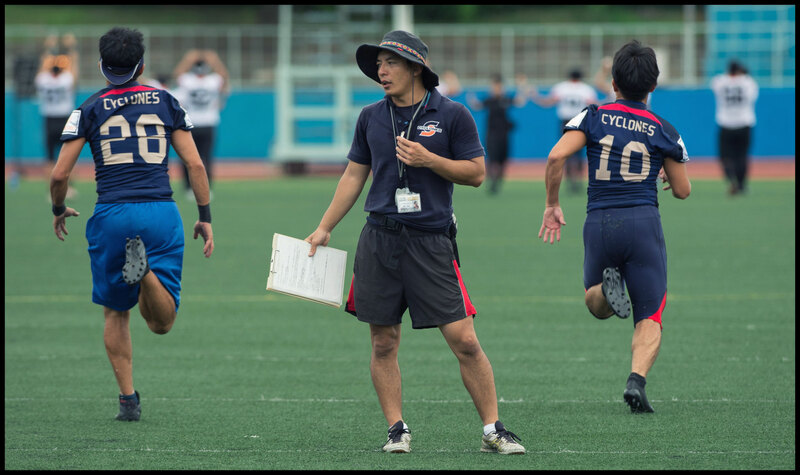 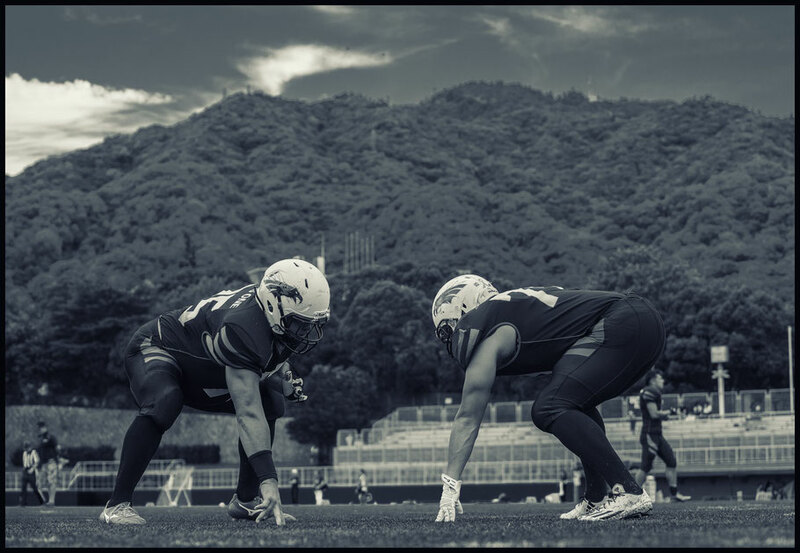 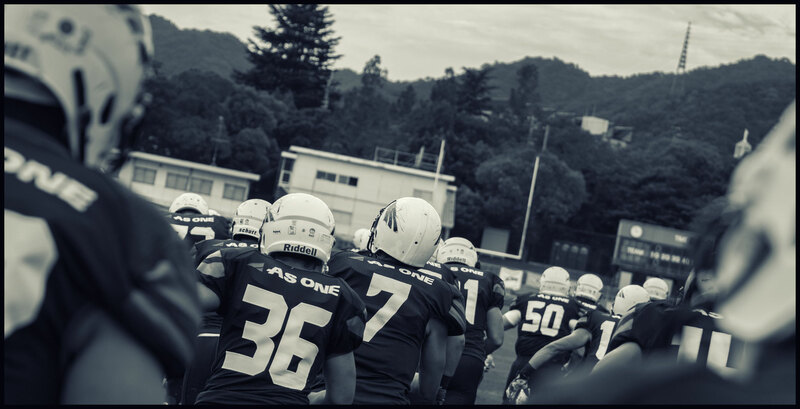 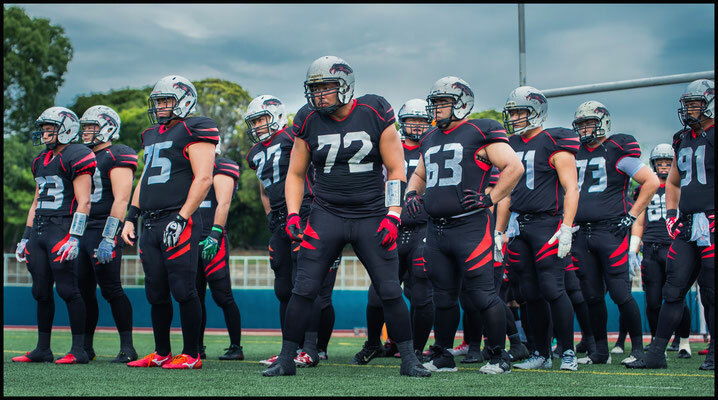 Ito started to warm up at the end of the second quarter finding wideouts Kenichi Kondo and Takeyuki Suzuki for positive gains before time expired in the half. At the start of the second half, Ito went right back to the same players, hitting Kondo wide on a short pass. 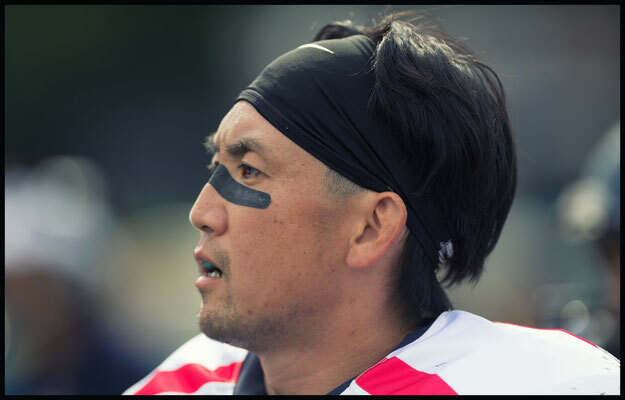 Kondo cut back to the middle of the field for a 28-yard gain and on the next play a found Suzuki on a 22-yard TD pass. 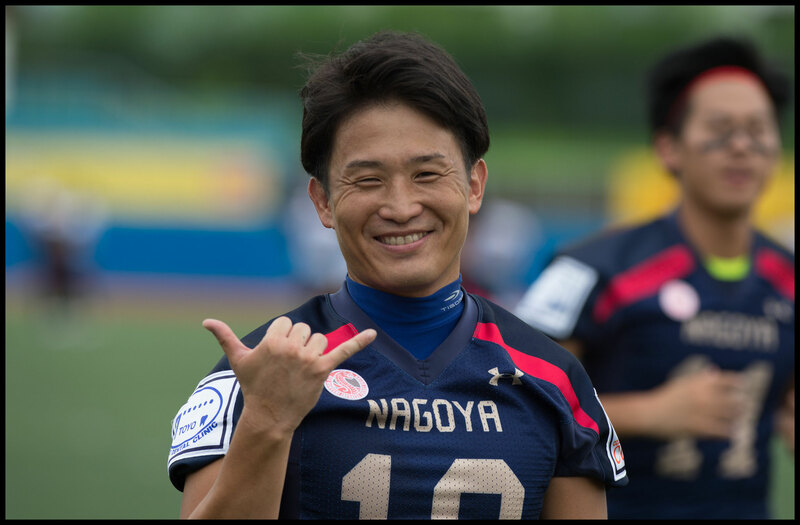 The drive took just four plays and 1:45 off the clock and got Nagoya back in the game at 12-7. Unfortunately for the Cyclones the high snaps continued in the second half and caused problems at the most inopportune times. 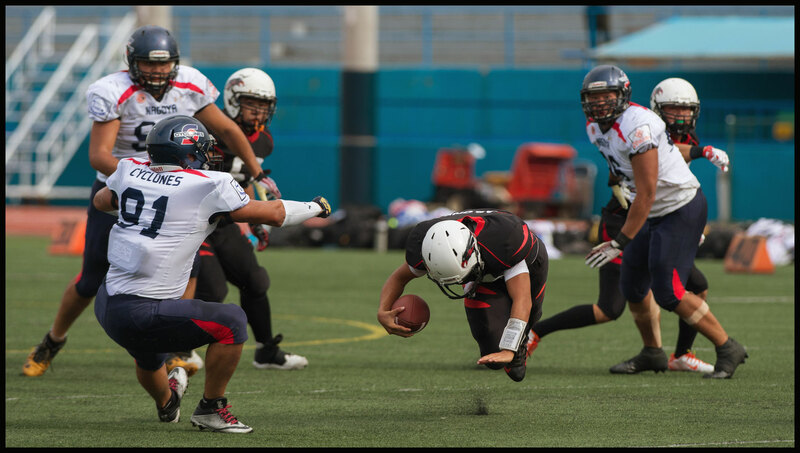 Twice on fourth down the QB or kicker struggled to get a handle on the ball and the play was over before it even started. Punting difficulties for Nagoya were matched by kicking problems for the Black Eagles. Takayuki Nakanishi went one for three on field goals but added four punts of 35 yards or more without a touchback and that was the difference in this evenly matched game. 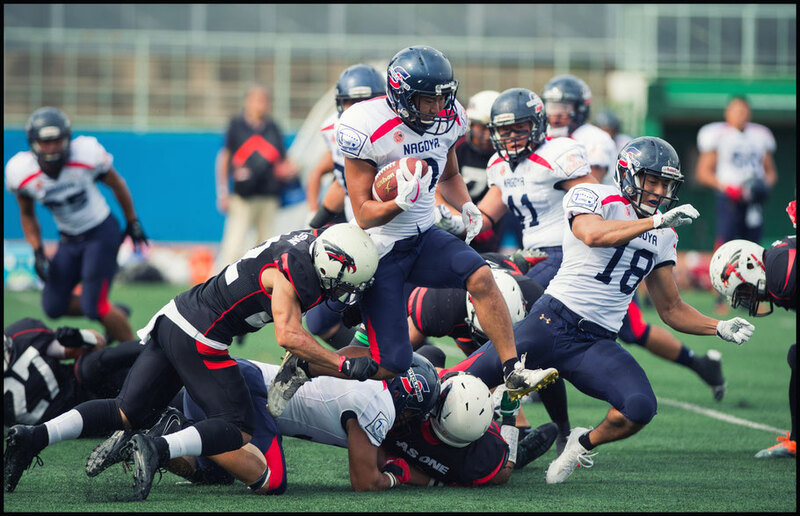 The new format for the X-league instituted last year is meant to create more evenly matched regular season games while still giving all teams a chance at a berth in a ten-team playoff. 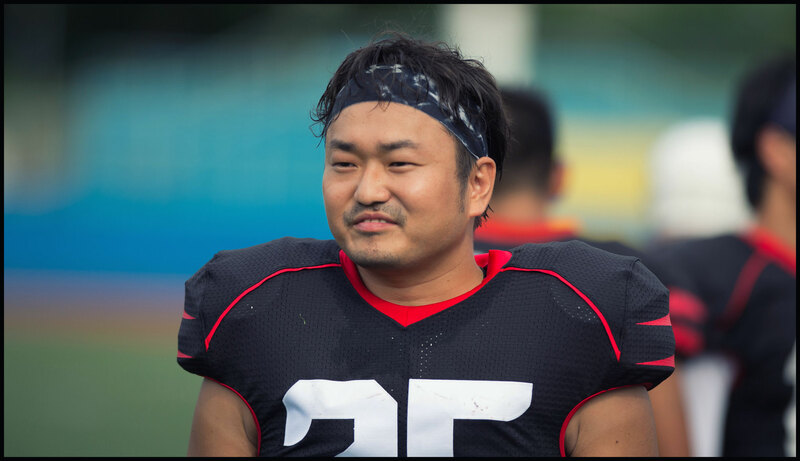 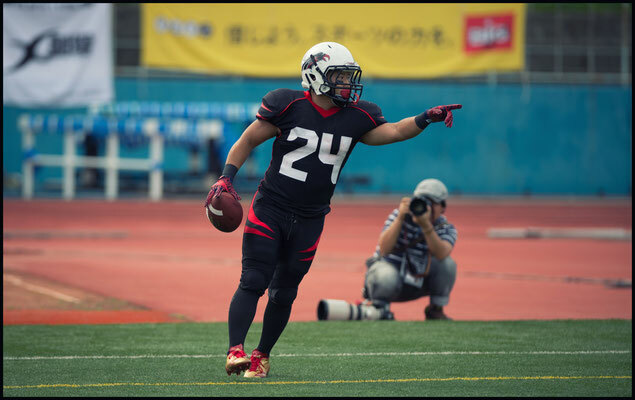 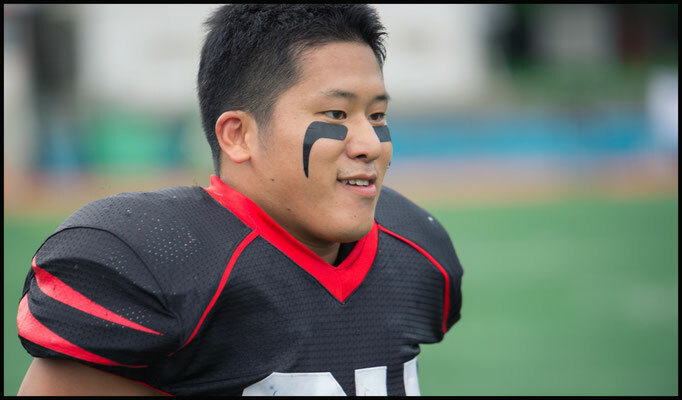 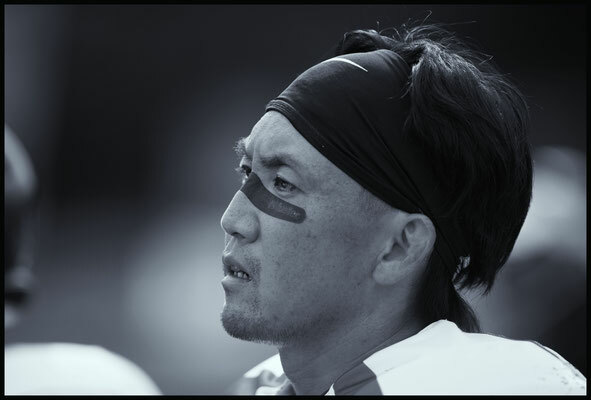 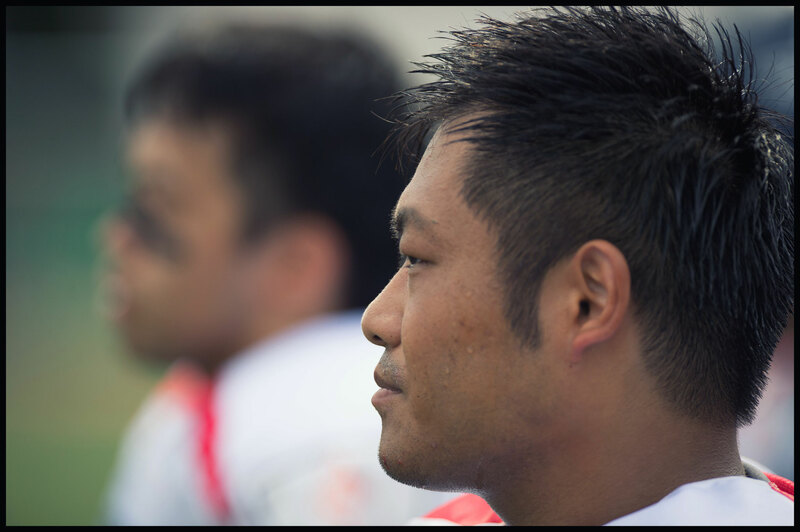 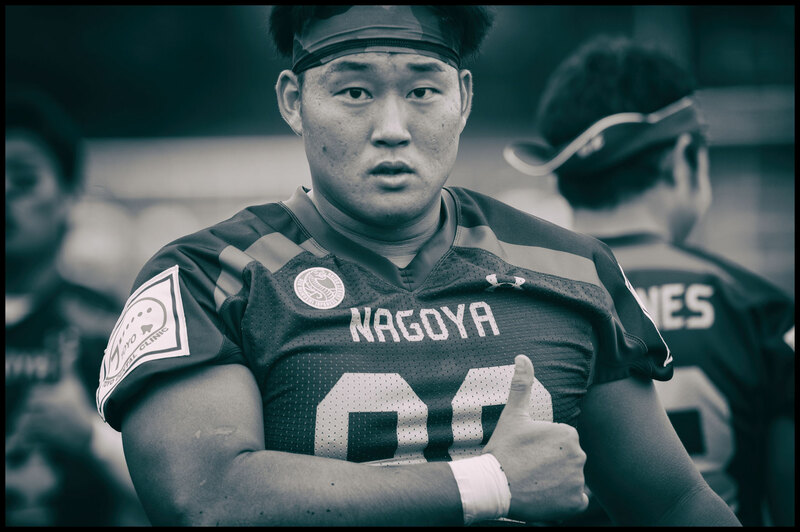 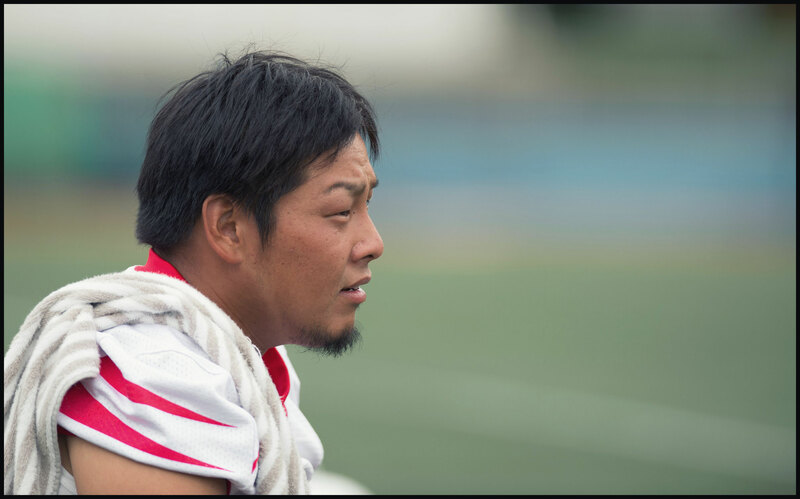 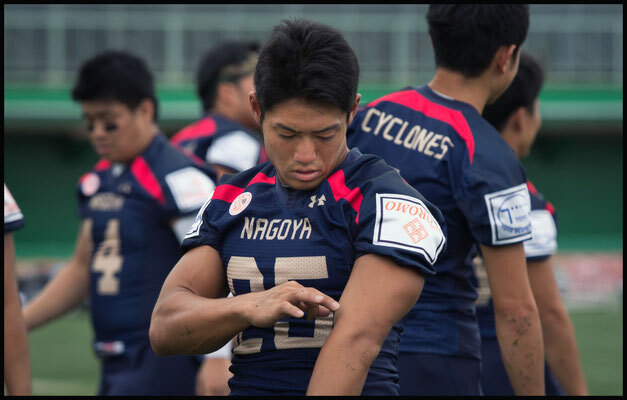 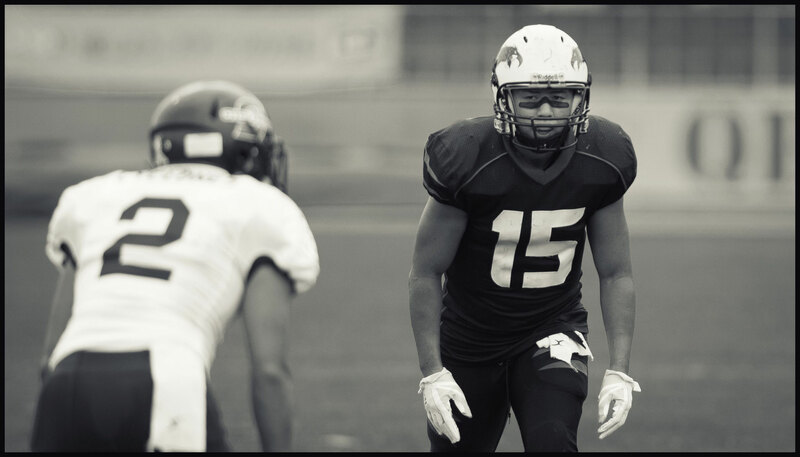 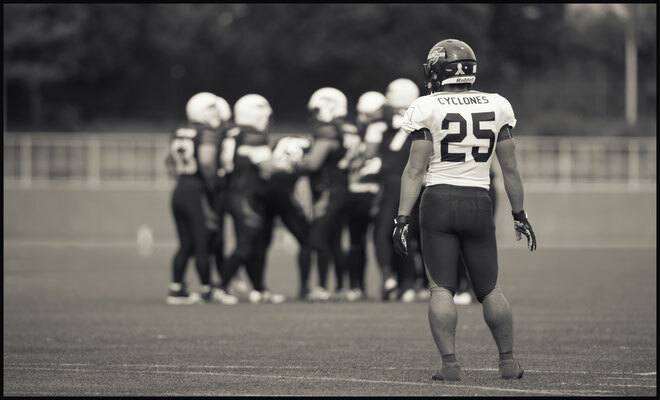 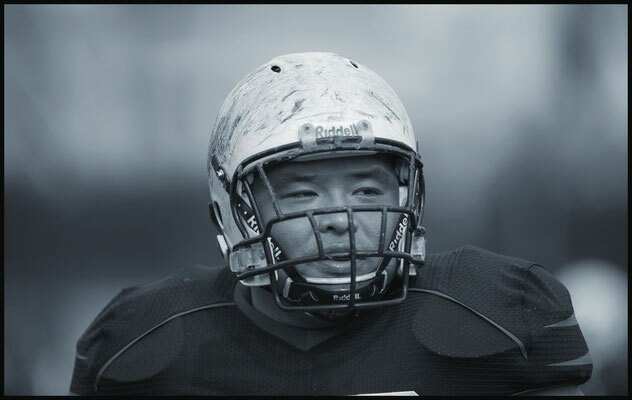 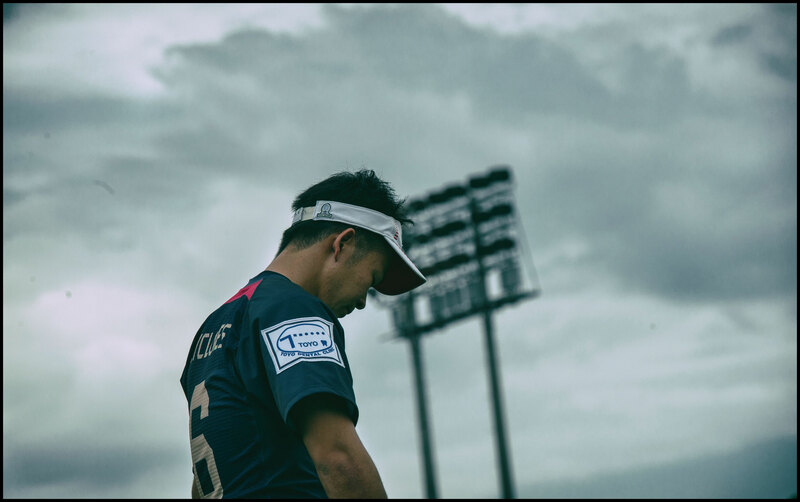 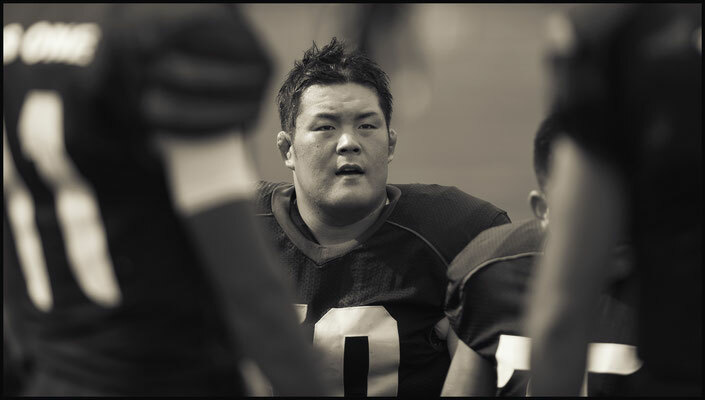 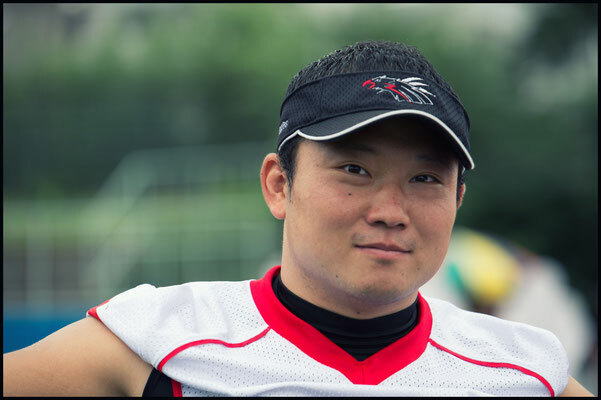 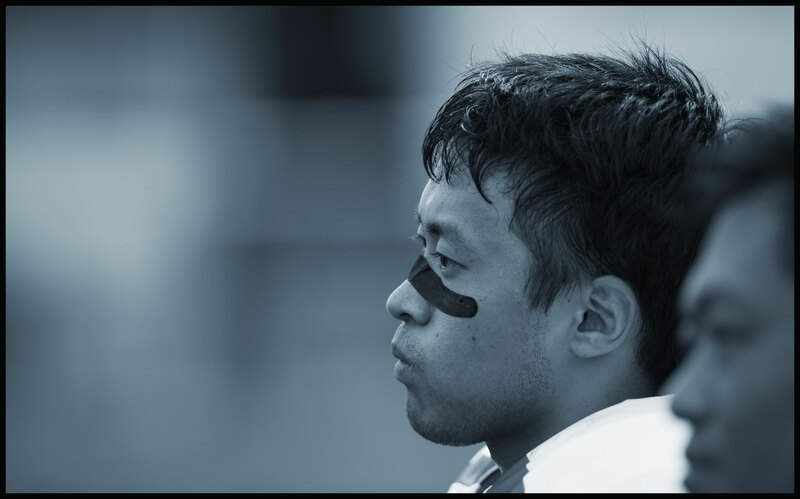 Of his own team’s chances this year Nagoya Cyclones RB Yasumasa Ido said, “It will be a tough season but we’ll try to get some wins for our fans. 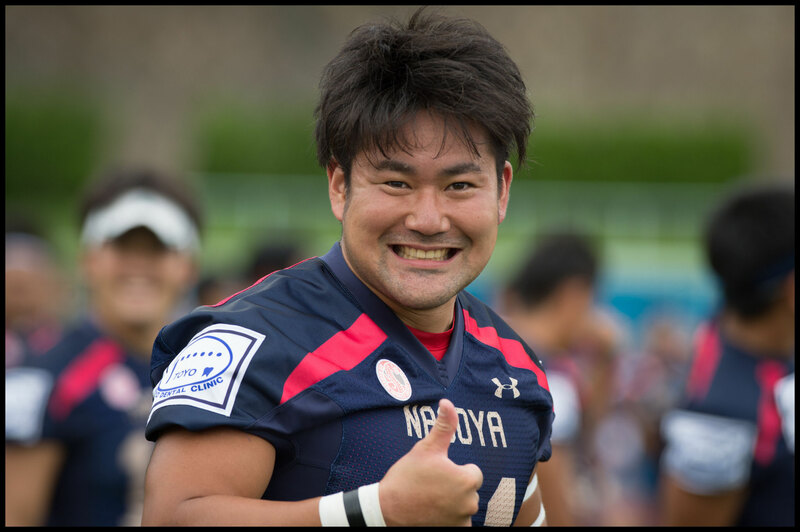 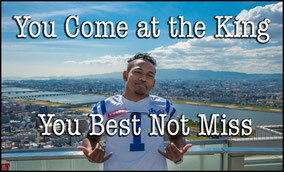 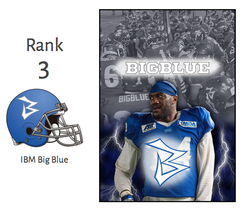 Please cheer us on!” Both teams are back in Kobe for week two action on September 9. 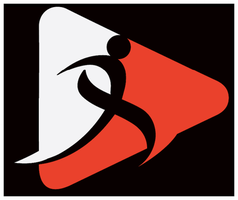 Three X-league western division games will be played in Oji Stadium that day in a football bonanza.